Navichord as MIDI source feeding a chain of ROSETTA MIDI AUv3 MIDI FX, routing the resultant MIDI into SynthMaster One AU plugin ? 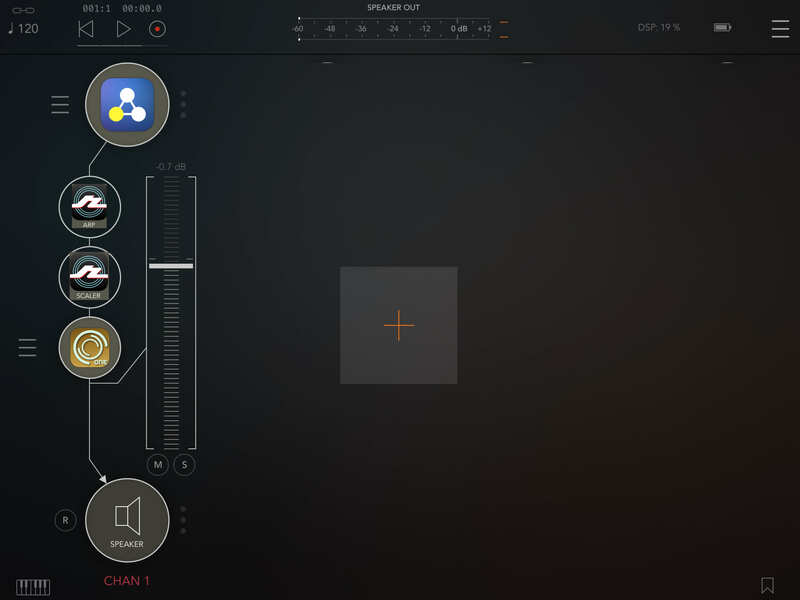 ( or IAA app for that matter )..
... ALL in a single AUM mix-fader chain? Would save SO MUCH SCREEN SPACE !!! Yes, I'm working on it right now. The idea is to have dedicated MIDI-only node slots, to avoid wasting a whole audio channel strip just for hosting a sequencer plugin, etc. MIDI routing will still happen in the usual ways (using the global midi matrix or the short-cut midi source selection menu of a midi-receiving node). Yes! So excited for this.